Guest post by Benchmark Email’s email marketing expert Yo Noguchi. Designing your email marketing campaign for large businesses often means more tireless editing, changes in design, and extra effort put into personalized services. Chic aesthetics and adapting to ever-changing advances in technology are only the beginning when it comes to courting top tier executives. Add a little elbow grease to these 6 tips on email marketing and advance to the playing field of large businesses. A 100% professional, error-free email is the only way to get the attention of large businesses. Larger sized businesses are in the position they are in exactly because of their acute attention to detail and professionalism. Don’t get marked down due to careless errors. When email marketing to large businesses, make the extra effort to edit your emails thoroughly for grammar errors, punctuation, and content relevancy. While no one intentionally sends out flawed emails, it is those that take the time to check and double check for errors that eventually earn the notoriety as experts in their field. The top tier executives at large companies conduct more of their business on the go, as opposed to their desktops in the office. This means that more often than not, your emails are received and viewed on smart phones, tablets, and laptops, and should be crafted accordingly. Adjust the contrast between the background and font or simply provide the option for subscribers to “view online” in case the mobile devices do not display the email correctly. Keep in mind that with the confined parameters given for mobile emails, you have less opportunity to use extravagant graphics and words to intrigue your readers. Make sure each word serves a purpose, is attractive to your readers, and stays on point. Designing an email marketing campaign for large businesses can often mean a wardrobe change for your layout. Remember that when dealing with clients who have powerful partners and rarely pay for things on their own, only the best will suffice. Let the chic aesthetic of your layout design translate the message of elegance and exclusivity to your clients. Quality products and services are always a good thing, but showing how the product can help cut a budget and speed up productivity is much more important in this field. When dealing with large businesses, always remember that an exorbitant amount of resources are at their fingertips, giving them the advantage of comparative shopping. For them, a quality product is just the beginning. Put an emphasis on how the product can help cut their budget without seeming like you’re making a sales pitch. Large businesses prefer tactful improvements on production to finding a cheap deal. Remind yourself that elegance and exclusivity apply more to this demographic than savings do. Segment your email lists based on each company’s type of business, buying needs, and shopping patterns. Clients from large businesses will have a higher level of expectations for everything from product quality to personalized service. Prove to clients that you know the market better than all the competitors by providing the best in personalized customer service. In the same way, personalize emails you send out to include the names of your sales representatives as opposed to messages sent out from another faceless corporation or organization. Focus on 10 great emails rather than 50 okay ones. Big clients are big business! Take the time to craft a lower number of quality emails rather than a higher number of okay ones. Carefully reconsider your frequency to what you deem as appropriate for your business, then decide whether you need to adjust the time in between emails sent. Find the balance that will have subscribers looking forward to your next newsletter. In the end, what’s most important is that you maintain a certain level of confidence and remind yourself that large businesses are considering your products and services because the rest of your subscribers are likely satisfied customers. Yo Noguchi (@ihcugonoy on Twitter) is a well-known blogger and email marketing expert for Benchmark Email, one of the world’s global email marketing services. 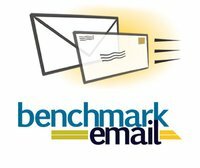 You can follow BenchMark email on Twitter or visit the Benchmark email Facebook page. Yo has written for Technshare, madimmarketing.com, work.com, and other websites. Thank you for the tips. I’m not expert on email marketing and your post is really a good help. Thanks for the post. E-mail marketing is one of main elements of online marketing & if properly done can yield amazing results. Generating interest from huge companies is not simple I should say.. These guidelines are very excellent, and maybe I’ll be able to create a excellent promotion contact but… I think this is contact promoters job, and who can know it better than they do? I think the better way is to seek the services of an experienced. Am I right? Successful online business can’t be led without email marketing. Many people know that it is very important to have a web site but having a web site is only one step in creating successful online presence. You have to stay in touch with your clients and prospects. You need to have a two way communication with your clients and prospects and best way to do this is to have an email newsletter. To send emails to your customer you need the right email marketing software. I have been doing email marketing recently and doing list building and these are just the tips I really need. I have been reading more and more just to add something to what I have to do. Anyway, enjoyed reading. If you are a company or organization wants to send out newsletters via email, there are some important things to consider. I put them for you at a glance, the most important first. Thanks for sharing your insight. I particularly appreciate your point about the importance of formatting for handheld devices. Some of the solicitation e-mails I got had wide margins, and it wasn’t easy to read them with my smartphone. Personalize may be what most emails lack. People tend to talk about “big pictures” and that type of emails usually be trashed real quick. Thanks for the great information! I love all your tips! I will try your advice on my email marketing methods, bound to improve my results. Liked the 5th one the most, making our emails much more personalized will give more to our readers. They will surely appreciate that we have taken the time to do that instead of spam mails. Great guide on Email marketing Mr.Noguchi! No doubt that email marketing is the biggest source of income for big companies as they always have a list of 10s of 1000s people. And maintaining good relationships with loyal customers is really important. I think the above guidelines can be applied to small business as well. Thanks for sharing your experience! The importance of personalizing the emails can’t be stressed enough! Better invest some time in crafting these emails, or else you will be wasting your time. I particularly agree with the importance of personalizing the text of the mail according to the type of company and I especially value the importance of including the name of the person you’re writing to. When you preview an email sender whose title and remittent seem that it’s spam you’ll surely delete it inmediately, but if your name is meant in the email, you will be very tempted to open it and take a look to the information in it. Email marketing is an effective marketing strategy if done properly and professionally. It is very important to know your target customers so that you will have an idea on the design to make it more personal. Your tips are very important to those who are into email marketing. I work in a medium-sized business and I can say that email marketing can drive sales if done properly. Email marketing can be very effective when launching promos etc. I think I like the first step, the watch every word tip. As much as possible, we should prevent or even eliminate every possible error in our job. Trying our best to be perfect is a very great help in molding one’s talent. I want to consider to use email marketing to invite clients for my photography service but I am to shy to do it because I don’t know how to start. Thanks for the insider tips. I would just ask your clients if they would like you to let them know about any special deals you offer. Most will say yes. All you have to do is not overdo it. Send them an email maybe once a month with tips on how to preserve their photos or how to share them online or anything else useful and at the end of the email offer them a discount good for a limited period of time. When you have a fairly large list you can negotiate deals for your client on related products such as photo frames or anything else related to your business. You can also exchange offers with businesses that have similar lists. Maybe they can offer your clients a discount if you mention their business in your newsletter and you can offer their clients a discount. thanks for the tips. I am bit new to this and my blog is only 1 1/2 months old but got already great traffic. I want to start email marketing. I have questions and please answer it as best as you could because I know you can help me with this. 1. how and what to use in making user to sign up in email list? 2. do I need a programming skills in doing this? Hi Yo Noguchi your 6 tips on email marketing are great. I’ve implemented it and it works very well. Thanks for sharing. Great article. It amazes me how many people don’t proofread their emails. It’s so simple but so important to do. Thanks for sharing these tips. Number 3 and number 10 seem to be the best. E-mail marketing with videos that lead to the next tip is the best way capture followers. Andy Bailey from Comment Luv actually does a really good job if you follow his e-mails. This is an excellent post, jam-packed with great tips for email marketing. I am starting a new business very soon, well hoping to launch it very soon so I need all the great advice I can get. Thank you. Hey this is a very insightful & detailed article as it helps us know that how one should personally send emails to their clients which is a very vital job!! I feel that in this era of iPad’s hardly anyone goes for emails, rather people opt for more of feeds which are even more easier to access & also very easy to see various stuffs!! Good writing!! I think when reaching out to large companies your first impression is everything, your campaign must be professionally presented so they will not ignore you in the future. The worst thing I hate about Marketing emails are the typos. Well, if the seller can’t write an E-main properly, it becomes really hard to believe that his services/goods would be of any good. Frequency is a really tricky thing. Like Vernessa there is a newsletter I receive several months apart from each other. I love it, but I’d also bet she loses subscribers on every mailing because they either don’t remember or no longer care who she is. Just today I received an email newsletter that made me go, “Ooh! What a nice surprise!” Because I enjoy that particular one, and it only comes every so often, I appreciate it more. They’ve got the frequency just right, reached that balance you speak of. Hi Yo Noguchi, thanks for the advice. At work we use Vertical Response and they show a text version of our ecards to mobile users. It doesn’t change what goes in the email though, but maybe we should do some testing to see what works best for our audience. We always include the name of a staff member and we also personalize by using the recipient’s name as well. Yo Noguchi, this is good stuff! It brings back memories of working for the advertising department of a radio station. The only tip I don’t really like is #2. I am old-school and a firm believer in the Executive Summary. I’m not saying you can’t get that on mobile but, I think a written document has more staying power. You get the meat of your message in a pleasing bulleted format. I don’t trust mobile to get it right. Other than that, I’m all for email marketing! Great Post! I could really learn a lot from this. Thanks for sharing.